High-speed Internet access, complimentary to Kimpton InTouch Guest Loyalty members. "Called to verify Wireless connection. Very helpful in informing me of the status. 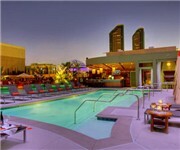 How Would You Rate Hotel Solamar (Kimpton Hotels) San Diego?